On Gull Beach follows a boy collecting shells on the sands of a Massachusetts shoreline. As he approaches a lone starfish, a seagull snatches it and takes flight, only to be joined by other gulls in a sparring clash for ownership of the marine morsel. Following the flock down the beach, the boy describes small glimpses of the ecosystem along the way, where he is reunited with the starfish and shows stewardship for his natural surroundings. Yolen’s pictorial prose and Marstall’s colorful images paint a concise and pleasant picture of a day at the beach. After the story, readers can continue to learn about beach wildlife with a full color guide to wildlife you could encounter while walking the shoreline and a few tips on being a thoughtful beachcomber. 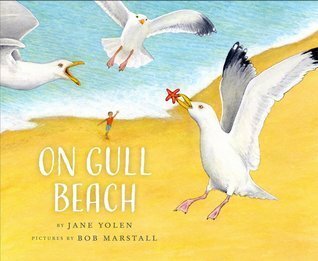 On Gull Beach is a great story to send the little ones off dreaming of ocean air and sand between their toes. I love children’s books. They often teach lessons without seeming like they’re teaching a lesson. On Gull Beach teaches the lesson of kindness while also teaching a little about seagulls. My daughter was 2 when she first visited the ocean. We’ve got home videos of her pointing at the seagulls and saying, “Seago. Seago.” Now whenever I see gulls, it reminds me of that. I really think your little ones will appreciate the sweet pictures that accompany this simple yet fun story. I love that the back of the book contains information about life on a New England beach. You and your child can look at the pictures while you tell them a little more about the wildlife contained in this book. Jane Yolen has authored more than 350 books including the Caldecott-winning Owl Moon, loved by children and bird watchers of all ages; You Nest Here With Me, a popular new favorite co-authored with her daughter Heidi E. Stemple; and the New York Times bestselling series How Do Dinosaurs…? Jane Yolen’s books have been translated into over 20 languages Many of Ms. Yolen’s books are about wildlife subjects, especially the winged kind. 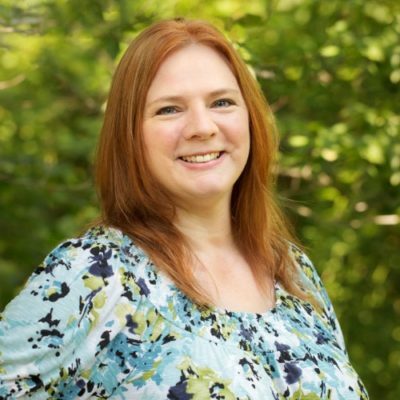 She lives in Hatfield, Massachusetts. Her website is www.janeyolen.com. Bob Marstall is the illustrator of eleven nonfiction children’s books, including The Lady and the Spider, which sold over a quarter-of- a-million copies and was a Reading Rainbow selection. Bob has also been honored with an ALA Notable; an IRA Teachers’ Choice; a Smithsonian Magazine Notable Book for Children; and three John Burroughs selections. In addition, two of Bob’s books are included in the New York Times Parent’s Guide’s “1001 Best Books of the Twentieth Century.” Bob lives in Easthampton, Massachusetts. His website is www.martallstudio.com. The Cornell Lab of Ornithology is a world leader in the study, appreciation, and conservation of birds. Our hallmarks are scientific excellence and technological innovation to advance the understanding of nature and to engage people of all ages in learning about birds and protecting the planet. birds.cornell.edu. My nephew LOVES to watch the birds outside so my sister got a bunch of bird feeders for the yard. He’d love this book!